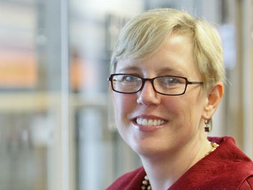 Susan L. Parish, PhD, MSW is a Senior Research Scientist with the Lurie Institute for Disability Policy at The Heller School for Social Policy and Management and Dean of the Bouve College of Health Sciences at Northeastern University. Her research examines the health and financial well-being of children and adults with disabilities, and their caregiving families. Current research projects include investigations of (1) poverty causes and consequences for families raising children with disabilities, (2) cancer screening promotion for women with intellectual disabilities, (3) racial and ethnic disparities in health care access of children with autism and (4) pregnancy outcomes for women with intellectual disabilities. She is particularly interested in the impact of health, income transfer and poverty policies on people with disabilities and their families. Her research has been supported by a range of federal, state, and foundation sources, including the US Department of Health & Human Services (HRSA), the Eunice Kennedy Shriver National Institute of Child Health and Human Development, and the US Department of Education (NIDRR). Dr. Parish teaches classes in disability policy and both quantitative and qualitative research methods. She has won numerous awards for her teaching and her research, including the Padgett Early Career Achievement Award from the Society for Social Work and Research and the Research Matters! award from the Arc of the United States. She is a Fellow of the American Association of Intellectual & Developmental Disabilities, a fellow of the Society for Social Work Research, and a member of the National Academy on Social Insurance. Parish, S.L., Magana, S., & Son, E.. "Ethnic disparities in health care providers' responsiveness to low-income parents' concerns about their children with autism." under review (2016). Dababnah, S. & Parish, S.L.. "Feasibility of The Incredible Years program for parents of preschoolers with Autism Spectrum Disorder.." Autism: International Journal of Research and Practice, 20. (2015): 85-95. Ghosh, S., & Parish, Susan L.. "Deprivation among US children with disabilities who receive Supplemental Security Income." Journal of Disability Policy Studies 26. 3 (2015): 173-183. Magaña, S., Parish, S.L., & *Son, E.. "Trends in racial disparities in the quality of health care provider interactions for children with autism and other developmental disabilities.." American Journal on Intellectual & Developmental Disabilities 120. (2015): 504-513. Mitra, M., Parish, S.L., Clements, K.M, Diop, H., & Ciu, X.. "Maternal characteristics and birth outcomes of women with intellectual and developmental disabilities.." American Journal of Preventive Medicine. 48. (2015): 300-308. Mitra, M., Parish, S.L., Clements, K.M., Diop, H., & Ciu, X.. "Women with developmental disabilities may be at risk for poor pregnancy outcomes [digest]." Perspectives on Sexual and Reproductive Health 47. 2 (2015): 107-108. Parish, S.L., Magaña, S., & Son, E.. "Trends in racial disparities in quality of care for children with autism and other developmental disabilities.." Society for Social Work Research, New Orleans, LA. 2015. Parish, S.L., Magaña, S., & Son, E.. "Trends in racial disparities in quality of care for children with autism and other developmental disabilities.." Society for Social Work and Research, New Orleans.. 2015. Parish, S.L., Mitra, M., *Son, E., Bonardi, A., Swoboda, P.T., & *Igdalsky, L.. "Pregnancy outcomes among US women with intellectual and developmental disabilities.." American Journal of Intellectual and Developmental Disabilities. 120. (2015): 433-443. Parish, S.L., Thomas, K., Williams, C.S., & Crossman, M.. "Autism and families’ financial burden: The association with health insurance coverage." American Journal of Intellectual and Developmental Disabilities 120. (2015): 166-175. Parish. S.L., Mitra, M., *Son, E., Bonardi, A., Swoboda, P.T., & *Igdalsky, L.. "A national profile of deliveries by women with intellectual disabilities in the US: Maternal characteristics and pregnancy outcomes.." Society for Social Work Research, New Orleans, LA. 2015. Dababnah, S., & Parish, S.L.. "Perspectives of Parents Raising Children with Autism in the West Bank.." American Association on Intellectual and Developmental Disabilities, Orlando, FL.. 2014. Ghosh, S. & Parish. S.L.. "Effects of the Great Recession on working-age adults with disabilities: Poverty, material hardships and program participation.." Society for Social Work Research conference, San Antonio, TX.. January 2014. Menon, N., Parish, S.L., & Rose, R.. "The “state” of persons with disabilities in India.." Journal of Human Development and Capabilities 15. (2014): 391-412. Mitra, M., Parish, S.L., Diop, H., & Cui, H.. "Using longitudinal data to examine pregnancy outcomes among women with and without intellectual and developmental disabilities.." International Association for the Scientific Study of Intellectual and Developmental Disabilities, Europe Congress, Vienna, Austria. 2014. Parish, S.L., Mitra, M., Son, E., Bonardi, A., & Swoboda, P.T.. "A national profile of deliveries by US women with intellectual and developmental disabilities: Maternal characteristics and pregnancy outcomes.." Athens Institute for Education and Research, Athens, Greece. 2014. Parish, S.L., Mitra, M., Son, E., Bonardi, A., Swoboda, P.T., & *Igdalsky, L.. "A national profile of deliveries by US women with intellectual and developmental disabilities: Maternal characteristics and pregnancy outcomes.." American Association on Intellectual and Developmental Disabilities, Orlando, FL. 2014. Parish, S.L., Swaine, J., *Son, E., & *Igdalsky, L.. Determinants of cervical cancer screening among women with intellectual disabilities.. Waltham, MA Lurie Institute for Disability Policy: 2014. Parish, S.L., Swaine, J., *Son, E., Luken, K., *Igdalsky, L.. Racial disparities in receipt of mammography screening among women with intellectual disabilities.. Lurie Institute for Disability Policy: 2014. Parish, S.L., Swaine, J.G., & Luken, K.. "Cervical cancer screening among women with intellectual disabilities." Invited paper. Scientific Congress on Cancer in People with Intellectual Disabilities, Montpellier, France. February 2014. Parish, S.L., Swaine, J.G., & Luken, K.. "Women Be Healthy: A promising intervention to promote cancer screenings in women with intellectual disabilities." Invited paper. Scientific Congress on Cancer in People with Intellectual Disabilities, Montpellier, FRANCE. February 2014. Parish, Susan L.. "Food insecurity among families raising children with disabilities." Invited discussant. Washington, DC. December 2013. Parish. S.L., Mitra, M., *Son, E., Bonardi, A., Swoboda, P.T., & *Igdalsky, L.. "A national profile of deliveries by women with intellectual disabilities in the US: Maternal characteristics and pregnancy outcomes.." International Association for the Scientific Study of Intellectual and Developmental Disabilities, Europe Congress, Vienna, Austria. 2014. Parish. S.L., Thomas, K., Williams, C., & Crossman, M.. "Autism spectrum disorders and families' financial burden: The association with health insurance coverage." Society for Social Work Research, San Antonio, TX. January 2014. Son, E., Parish, S.L., & Magaña, S.. "Understanding and addressing disparities for Latino families of children with autism spectrum disorders.." American Association on Intellectual and Developmental Disabilities, Orlando, FL. 2014. Son, E., Peterson, N.A. Pottick, K. J., Zippay, A., Parish, S.L., & Lohrmann, S.. "Peer victimization among young children with disabilities: Early risk and protective factors." Exceptional Children 80. (2014): 368– 384. Swaine, J.G., Parish, S.L., Luken, K., Son, E., & Dickens, P.. "Development and testing of Women Be Healthy 2." Journal of Intellectual Disability Research 58. (2014): 651–663. Thomas, K., Parish, S.L., & Williams, C.S.. "Healthcare expenditures for autism during times of transition: Some vulnerable families fall behind." Maternal and Child Health Journal 18. (2014): 1936-1944. Dababnah, S. & Parish, S.L.. "Perspectives of parents raising children with autism in the West Bank.." Council on Social Work Education Annual Meeting, Dallas, TX.. November 2013. Dababnah, S., & Parish, S.L.. "‘At a moment, you could collapse’: Raising children with autism in the West Bank." Children and Youth Services Review 35. (2013): 1670-1678. Friedman, N., Erickson Warfield, M. & Parish, S. L.,. "Transition to adulthood for individuals with autism spectrum disorders: Current issues and future perspectives." Neuropsychiatry 3. (2013): 181-192. Ghosh, S., & Parish, S. L.. "Material hardships and income poverty: A case of households raising multiple children with disabilities.." Society for Social Work Research annual conference, San Diego, CA. January 2013. Ghosh, S., & Parish, S.L.. "Prevalence and economic well-being of families raising multiple children with disabilities. Children and Youth Services Review." Children and Youth Services Review 35. (2013): 1431–1439. Parish, S.L. & *Ghosh, S.. "Poverty, hardship and program participation effects of the Great Recession on working-age adults with disabilities.." Society for the Study of Social Problems, New York, NY. August 2013. Parish, S.L., Magaña, S., Son, E., & Swaine, J.G.. "Studying racial and ethnic health care disparities among children with intellectual and developmental disabilities using the National Survey of Children with Special Health Care Needs." International Review of Research in Developmental Disabilities 45. (2013): 173-204. Parish, S.L., Swaine, J.G., Son, E., & Luken, K.. "Cervical and breast cancer screening health promotion intervention for women with intellectual disabilities." American Public Health Association annual meeting, Boston, MA. November 2013. Parish, S.L., Swaine, J.G., Son, E., & Luken, K.. "Cervical and breast cancer screening of women with intellectual disabilities: Evidence of inadequate receipt and marked racial disparities from medical records." Health Disparities Research at the Intersection of Race, Ethnicity and Disability: A National Conference [Conference organizer: Oregon Health & Sciences University], Washington, DC. April 2013. Parish, S.L., Swaine, J.G., Son, E., & Luken, K.. "Determinants of cervical cancer screening among a community-based sample of women with intellectual disabilities." American Public Health Association annual meeting, Boston, MA. November 2013. Parish, S.L., Swaine, J.G., Son, E., & Luken, K.. "Determinants of cervical cancer screening among women with intellectual disabilities: Longitudinal evidence from medical record data." Public Health Reports 128. (2013): 519-526. Parish, S.L., Swaine, J.G., Son, E., & Luken, K.. "Receipt of mammography among women with intellectual disabilities: Medical record data indicate substantial disparities for African American women." Disability and Health Journal 6. (2013): 36-42. Parish, S.L., Thomas, K., & Williams, C.. "Autism spectrum disorders and families' financial burden: The association with health insurance coverage." American Public Health Association annual meeting, Boston, MA.. November 2013. Parish, S.L.. "Access to preventive care for women with intellectual disabilities: Empirical evidence and policy recommendations." Invited paper presented at the annual conference of the American Academy of Developmental Medicine and Dentistry, Meza, AZ. April 2013. Parish, S.L.. "Cervical and breast screening of women with intellectual and developmental disabilities." Invited paper presented at the Eunice Kennedy Shriver Center, University of Massachusetts Medical School. Waltham, MA. Janaury 2013. Parish, S.L.. "Health care access of children with autism." Invited paper. Lurie Center for Autism, Massachusetts General Hospital. Lexington, MA.. January 2013. Parish, Susan L.. "Access to cervical and breast cancer screening for women with intellectual and developmental disabilities." Invited paper at Health and Wellbeing in Developmental Disabilities: Engaging Health Care Professionals Conference, Toronto, CANADA. November 2013. Parish, Susan L.. "Financial well-being of aging parent caregivers of children with intellectual disabilities: A life course perspective." Invited paper. Gerontology Seminar Series, McCormack School of Public Policy, University of Massachusetts. Boston, MA. October 2013. Parish, Susan L.. "Material hardship and deprivation among families raising children with disabilities and receiving Supplemental Security Income." Invited commentary prepared for the National SSI Coalition meeting. Washington, DC.. . Washington, DC. October 2013. Parish, Susan L.. "Supporting people with autism and their families: epidemiological, clinical and policy research perspectives." Invited plenary talk at Health and Wellbeing in Developmental Disabilities: Engaging Health Care Professionals Conference, Toronto, CANADA. November 2013. Parish, Susan L.. "Why dismantling the safety net for children with disabilities and their families is a poor idea." Health & Social Work (2013): 195-198. Parish, Susan L.. "Women Be Healthy: A promising intervention to promote cervical and breast cancer screening for women with intellectual and developmental disabilities." Webinar presentation for HealthMeet, Arc of the United States. October 2013. Son, E, Parish, S. L., Swaine, J.G., & Luken, K.. "Accuracy of reporting receipt of cervical and breast cancer screening among women with intellectual and developmental disabilities." American Journal of Intellectual and Developmental Disabilities 118. (2013): 327-336. Son, E., Parish, S. L., Swaine, J.G., & Luken, K.. "Accuracy of self-reported screening receipt among women with intellectual disabilities." Society for Social Work Research annual conference, San Diego, CA. January 2013. Swaine, J.G., Dababnah, S., Parish, S.L., & Luken, K.. "Family caregivers' perspectives on barriers and facilitators of cervical and breast cancer screening for women with intellectual disability." Intellectual & Developmental Disabilities 51. 1 (2013): 62-73. Swaine, J.G., Parish, S. L., & Luken, K.. "Breast and cervical cancer screening for women with intellectual disabilities.." Health & Social Work 38. (2013): 183-186. Swaine, J.G., Parish, S.L., Ghosh, S., Luken, K., & Wright, G.. "Obtaining medical records for women with developmental disabilities in community-based health promotion intervention." Journal of Policy and Practice in Intellectual Disabilities 10. (2013): 54-61. Croft, B., & Parish, S. L.. "Care integration in the Patient Protection and Affordable Care Act: Implications for behavioral health." Administration and Policy in Mental Health and Mental Health Services Research (2012): 258-263. Dickens, P., Luken, K., Swaine, J.G., & Parish, S.L.. Recommended Health Screenings for Women with Disabilities.. Waltham, MA. Lurie Institute for Disability Policy: 2012. Fisher, K. Williams, G., Luken, K., Swaine, J.G., & Parish, S.L.. "Researchers and women with intellectual disabilities: Partnerships to promote cervical and breast cancer screening.." American Association for Intellectual and Developmental Disabilities, Charlotte, NC. June 2012. Fisher, K., Williams, G., Luken, K., Parish, S.L., Swaine, J.G., & Dickens, P.. "Making a difference in the lives of women with intellectual disabilities: Moving research findings about breast and cervical cancer screening into the real world." American Association on Intellectual & Developmental Disabilities, Charlotte, NC. June 2012. Magana, S., Parish, S. L., Rose, R.A., Timberlake, M., & Swaine, J.G.. "Racial and ethnic disparities in quality of health care among children with autism and other developmental disabilities." Intellectual & Developmental Disabilities 50. 4 (2012): 287-299. Parish, S. L., & Ghosh, S.. "Hardship and deprivation among children with disabilities receiving Supplemental Security Income." American Association of Public Policy and Management, Baltimore, MD. November 2012. Parish, S. L., Rose, R., Swaime, J.G., Dababnah, S., & Marya, E.T.. "Financial well-being of lone, working-age mothers of children with developmental disabilities." work and Family Researchers Network, New York. June 2012. Parish, S. L., Rose, R.A., Swaine, J.G., Dababnah, S., & Marya, E.T.. "Financial well-being of single, working-age mothers of children with developmental disabilities." American Journal of Intellectual & Developmental Disabilities 117. 5 (2012): 400-412. Parish, S. L., Swaine, J.G., Luken, K., Rose, R.A., & Dababnah, S.. "Cervical and breast cancer screening knowledge of women with developmental disabilities.." Intellectual & Developmental Disabilities 50. 2 (2012): 79-91. Parish, S. L., Swaine, J.G., Son, E., & Luken, K.. "Cervical and breast cancer screening of women with intellectual disabilities: Evidence of inadequate receipt and marked racial disparities from medical records." American Association on Intellectual & Developmental Disabilities, Charlotte, NC. June 2012. Parish, S.L., Ghosh, S., & Swaine, J.G.. Deprivation in families of disabled children who receive child Supplemental Security payments. Waltham, MA Lurie Institute for Disability Policy, Heller School, Brandeis University: 2012. Parish, S.L., Magana, S., Rose, R.A., Timberlake, M., & Swaine, J.G.. "Health care of Latino children with autism and other developmental disabilities: Quality of provider interaction mediates utilization." American Journal of Intellectual & Developmental Disabilities 117. 4 (2012): 304-315. Parish, S.L., Rose, R., Dababnah, S., Yoo, J., & Cassiman, S.. Families of children with special health care needs experience greater family burden in states with greater income inequality. Waltham, MA Lurie Institute for Disability Policy, Heller School, Brandeis University: 2012. Parish, S.L., Rose, R., Swaine, J.G., Dababnah, S., & Marya, E.T.. "Financial well-being of single working age mothers of children with developmental disabilities." International Association for Feminist Economics, Barcelona, Spain. July 2012. Parish, S.L., Rose, R.A., Dababnah, S., Yoo, J., & Cassiman, S.A.. "State-level income inequality and family burden of US families raising children with special health care needs.." Social Science & Medicine 74. (2012): 399-407. Parish, S.L., Rose, R.A., Swaine, J.G., Luken, K., & O’Hare, L.. "Cancer screening knowledge changes: Results from a randomized control trial of women with developmental disabilities." Research on Social Work Practice 22. (2012): 43-53. Parish, S.L., Rose, R.A., Yoo, J., & Swaine, J.G.. "State Medicaid policies and the health care access of low-income children with special health care needs living in the American South." North Carolina Medical Journal 73. 1 (2012): 15-23. Parish, S.L., Swaine, J.G., Son, E., & Luken, K.. "Cervical and breast cancer screening of women with intellectual disabilities: Evidence of inadequate receipt from medical records." 34th annual meeting of the National Association of Rehabilitation Research and Training Centers, Alexandria, VA. April 2012. Parish, S.L., Thomas, K., Rose, R.A., Kilany, M., & McConville, R.. "State insurance parity legislation for autism services and family financial burden." Intellectual & Developmental Disabilities 50. (2012): 190-198. Parish, S.L., Thomas, K.C., Rose, R., Kilany, M., & Shattuck, P.T.. "State Medicaid spending and financial burden of families raising children with autism." Intellectual and Developmental Disabilities 50. 6 (2012): 441-451. Parish, S.L., Thomas, K.C., Rose, R., Kilany, McConville, R., & Igdalsky, L.. State insurance partiy legislation reduces financial burden of families with children with autism. Waltham, MA Lurie Institute for Disability Policy, Heller School, Brandeis University: 2012. Son, E., Parish, S.L., & Peterson, N.A.. "National prevalence of peer victimization among young children with disabilities in the United States." Children & Youth Services Review 34. (2012): 1540-1545. Swaine, J.G., Luken, K., & Parish, S.L.. "An empowerment-based method for recruiting women with intellectual disabilities to participate in health promotion research." American Association on Intellectual and Developmental Disabilities, Charlotte, NC. June 2012. Swaine, J.G., Parish, S. L., Luken, K., & Dickens, P.. Feasibility & acceptability of Women Be Healthy 2: An intervention to improve cancer screenings. Waltham, MA. Lurie Institute for Disability Policy: 2012. Swaine, J.G., Parish, S.L., & Luken, K.. Health screenings for women with developmental disabilities: Note for social workers and case managers. Waltham, MA. Lurie Institute for Disability Policy. : 2012. Thomas, K., Parish, S.L., & williamson, C.. "Healthcare expenditures for autism during times of transition: Disadvantaged families fall behind." American Public Health Association, San Francisco, CA. November 2012. Thomas, K., Parish, S.L., Rose, R.A., & Kilany, M.. "Access to care for children with autism in the context of state Medicaid policy." Maternal & Child Health Journal 16. (2012): 1636-1644. Dickens, P., Luken, K., Parish, S.L., & Swaine, J.G.. Women Be Healthy 2: A curriculum to increase cervical and breast cancer screening rates of women with intellectual and developmental disabilities.. Waltham, MA. Lurie Institute for Disability Policy: 2011. Nageswaran, S., Parish, S.L., Rose, R.A., & Grady, M.. "Health care access of children with developmental disabilities.." Maternal and Child Health Journal 15. (2011): 634-641. Parish, S. L., Magaña, S., & Rose, R.. "Racial and ethnic disparities in health care access of children with autism.." 43rd Annual Gatlinburg Conference on Research & Theory in Intellectual and Developmental Disabilities, San Antonio, TX. March 2011. Parish, S.L., Magana, S., Rose, R., Timberlake, M., Swaine, J.G., & Fichtenbaum, R.. Latino children with autism and other developmental disabilities experience disparities in access, utilization, and quality of health care.. Waltham, MA. Lurie Institute for Disability Policy: 2011. Parish, S.L., Swaine, J.G., Luken, K., Rose, R.A., Dababnah, S., & Fichtenbaum, R.. Increased knowledge of breast and cervical cancer screening needed among women with developmental disabilities.. Waltham, MA. Lurie Institute for Disability Policy: 2011. Parish, S.L., Thomas, K., Rose, R.A., Shattuck, P.T., Kilany, M., & Crossman, M.. Financial burden of raising children with autism: Association with state Medicaid spending.. Waltham, MA. Lurie Institute for Disability Policy: 2011. Swaine, J.G., Parish, S.L., & Luken, K.. Research: A guide for self-advocates with developmental disabilities. Waltham, MA. Lurie Institute for Disability Policy: 2011. Swaine, J.G., Parish, S.L., Luken, K., & Atkins, L.. "Recruitment and consent of women with intellectual disabilities in research studies.." Journal of Intellectual Disability Research. 55. 5 (2011): 474–483. Dababnah, S., Parish, S.L., Brown, L.T., & Hooper, S.R.. "Early screening for Autism Spectrum Disorders: A primer for social work practice.." Children and Youth Services Review 33. (2010): 265-273. Emerson, E., & Parish, S.L.. "Introduction to the special section on poverty and intellectual disabilities." Journal of Intellectual & Developmental Disabilities 35. 221–223 (2010). Laws, J., Parish, S. L., Scheyett, A. M., & Egan. C. "Preparation of social workers to support people with intellectual and developmental disabilities." Journal of Teaching in Social Work 30. 3 (2010): 317 - 333. Macy, R. J., Giattina, M., Parish, S. L., & Crosby, C. "Domestic violence and sexual assault services challenges." Journal of Interpersonal Violence 25. (2010): 3-32. Parish, S. L., Grinstein-Weiss, M., Yeo, Y., Rose, R. A., & Rimmerman, A. "Assets and income: Evidence of disability-based disparities in the U. S." Social Work Research 34. 71-82 (2010). Parish, S. L., Rose, R. A., & Andrews, M. E.. "TANF and the employment, marriage, and welfare use of low-income mothers raising children with disabilities." Exceptional Children 76. (2010): 234-253. Parish, S.L., Rose, R.A., & Swaine, J.G.. "Financial well-being of US parents caring for coresident children and adults with developmental disabilities: An age-cohort analysis. .." Journal of Intellectual & Developmental Disabilities 35. (2010): 235-243. Rose, R. A., Parish, S. L., Yoo, J., Grady, M.D., Andrews, M. E., Powell, S. E., & Hicks-Sangster, T. K. "Medicaid suppresses racial disparities in health care among children with special health care needs: Evidence from a multi-level mediation modeling analysis." Social Science & Medicine 70. (2010): 1263–1270. Rose, R. A., Parish, S. L., Yoo, J.. "Observation, correlation and policy analysis: A response to Foster." Social Science & Medicine 70. (2010): 1274. Parish, S. L., Rose, R. A., & Andrews, M. E. "Income poverty and material hardship among U.S. women with disabilities." Social Service Review 83. (2009): 33-52. Parish, S. L., Rose, R. A., Andrews, M. E., & Shattuck, P. T. "Receipt of professional care coordination services among families raising children with special health care needs: A multilevel analysis of state policy predictors." Children & Youth Services Review 31. (2009): 63-70. Parish, S.L., Shattuck, P. T., & Rose, R. A. "A multi-level analysis of state Medicaid and financial burden of raising children with special health care needs." Pediatrics 124. Supplement 6 (2009): S435-S442. Rose, R. A., Parish, S. L., & Yoo, J.P. "Measuring material hardship among the US population of women with disabilities using latent class analysis." Social Indicators Research 94. 3 (2009). Scheyett, A., Vaughn, J., Taylor, M. F., & Parish, S. L. "Screening for intellectual and developmental disabilities in jails: Are we there yet?." Intellectual & Developmental Disabilities 47. (2009): 13-23. Shattuck, P.T., Grosse, S. D., Parish, S. L., & Bier, D. "Utilization of Medicaid-funded interventions for children with autism." Psychiatric Services 60. (2009): 549-552. Wacker, J. L., Macy, R. J., Barger, E. & Parish, S. L. "Sexual assault prevention for women with intellectual disabilities: A critical review of the evidence." Intellectual & Developmental Disabilities 47. (2009): 249-262. Birdsong, S. S., & Parish, S. L. "The Healthy Families Act: Vital support for families of people with developmental disabilities." Intellectual & Developmental Disabilities 46. (2008): 319-321. Magaña, S., Parish, S. L., & Cassiman, S. A. "Policy lessons from low-income mothers with disabilities: A primer on inadequate incomes, work disincentives, and bureaucratic insensitivity." Journal of Women, Politics & Policy 29. (2008): 29. Parish, S. L., Magaña, S., & Cassiman, S. A. "It’s just that much harder: Multilayered hardship experiences of low-income mothers with disabilities raising their children." Affilia: The Journal of Women and Social Work 23. (2008): 51-65. Parish, S. L., Moss, K., & Richman, E. L. "Perspectives on health care of adults with developmental disabilities." Intellectual & Developmental Disabilities 46. (2008): 411-426. Parish, S. L., Rose, R. A., Andrews, M. E., Grinstein-Weiss, M., & Richman, E. L. "Material hardship among U.S. families raising children with disabilities." Exceptional Children 75. (2008): 71-92. Shattuck, P.T., & Parish, S. L. "Multilevel analysis of financial burden in families of children with special health care needs." Pediatrics 122. (2008): 13-18. Wacker, J. L., Parish, S. L., & Macy, R. J. "Sexual assault and women with cognitive disabilities: Codifying discrimination in the states." Journal of Disability Policy Studies 19. (2008): 86-94. Fujiura, G.T., & Parish, S. L. "Emerging policy challenges in intellectual disabilities." Mental Retardation & Developmental Disabilities Research Reviews 13. (2007): 188-194. Grinstein-Weiss, M., Irish, K., Parish, S. L., & Wagner, K. "Using individual development accounts to save for a home: Are there differences by race?." Social Service Review 81. (2007): 657-681. Parish, S. L., & Ellison-Martin, J. M. "Health care of low-income women Medicaid recipients: Evidence of disability-based disparities." Journal of Disability Policy Studies 18. (2007): 109-116. Parish, S. L. "Health care of women with disabilities: Population-based evidence of disparities." Health & Social Work 31. (2006): 7-15. Parish, S. L. "Juggling and struggling: A preliminary work-life study of mothers with adolescents with developmental disabilities." Mental Retardation 44 (2006): 393-404. Parish, S. L. & Cloud, J. M. "Financial well-being of young children with disabilities." Social Work 51. (2006): 223-232. Parish, S. L., & Cloud, J. M. "Child care for low-income school-age children: Disability and family structure effects in a national sample." Children & Youth Services Review 28. (2006): 927-940. Parish, S. L., & Saville, A. W. "Women with cognitive limitations living in the community: Evidence of disability-based disparities in health care." Mental Retardation 44. (2006): 249-259. Parish, S. L. "Deinstitutionalization in two states: The impact of advocacy, policy and other social forces on services for people with developmental disabilities." Research & Practice for Persons with Severe Disabilities 30. (2005): 219-231. Parish, S. L., & Lutwick, Z. E. "A critical analysis of the emerging crisis in long-term care for people with developmental disabilities." Social Work 50. (2005): 345-354. Parish, S. L., Cloud, J. M., Huh, J., & Henning, A. N. "Child care, disability and family structure: Use and quality in a population-based sample of low-income preschool children." Children & Youth Services Review 27. (2005): 905-918. Parish, S. L., Seltzer, M. M., Greenberg, J. S., & Floyd, F. J. "Economic implications of caregiving at midlife: Comparing parents of children with developmental disabilities to other parents." Mental Retardation 42. (2004): 413-459. Parish, S. L. "Mental retardation and federal income transfers: The political and economic context." Mental Retardation 41. (2003): 446-459. Parish, S. L., Pomeranz-Essley, A., & Braddock, D. "Family support in the United States: Financing trends and emerging initiatives." Mental Retardation 41. (2003): 174-187.